The birdies on the block can take a mini vacation in a camper of their very own when you hang up the Camper Shaped Birdhouse on a tree or anywhere else outside your home. One of our best-sellers, this mini bird house comes with a hanging hook and looks just like a retro camper trailer. 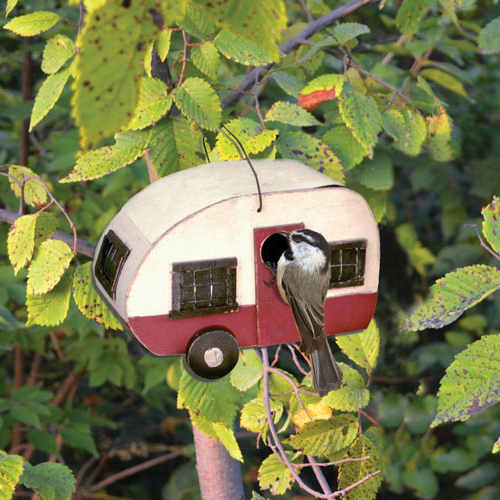 Be the first to review “Camper Shaped Birdhouse – FREE SHIPPING” Click here to cancel reply.